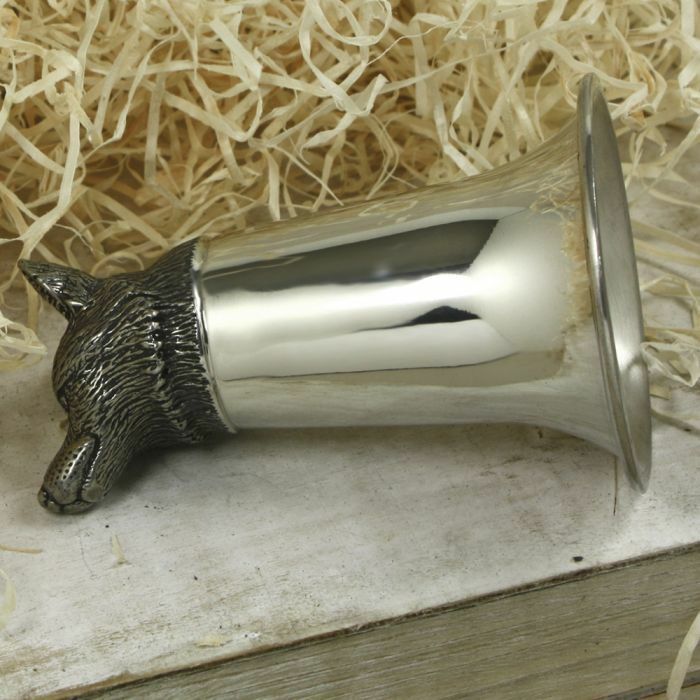 As world renowned manufacturers of the very best pewterware English Pewter Company are the masters at combining the traditions of craftsmanship and the most beautiful modern design to create truly special items, and that is never better demonstrated than with this pewter stirrup cup.. 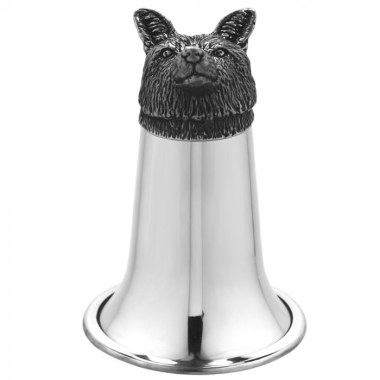 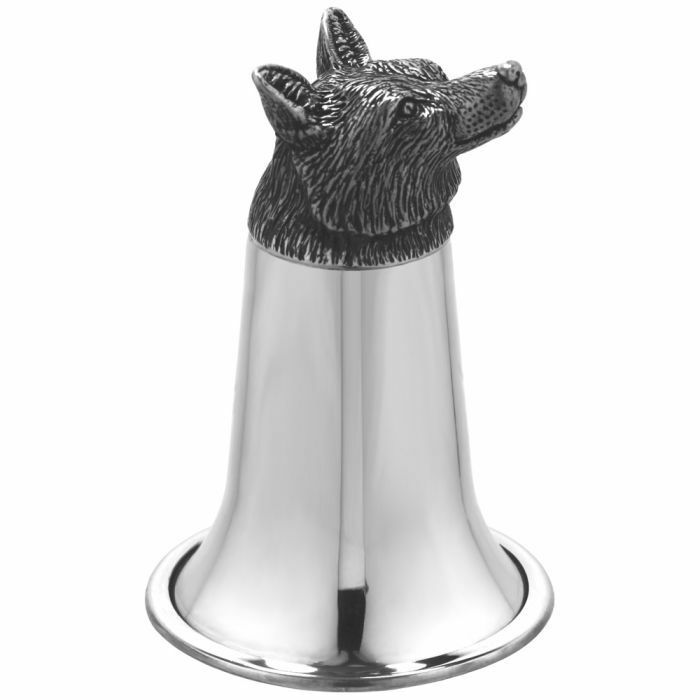 The cup is approximately 11cm tall and features a stylish pewter Fox Head base which is both striking and can also be used to stand the cup on a flat surface. 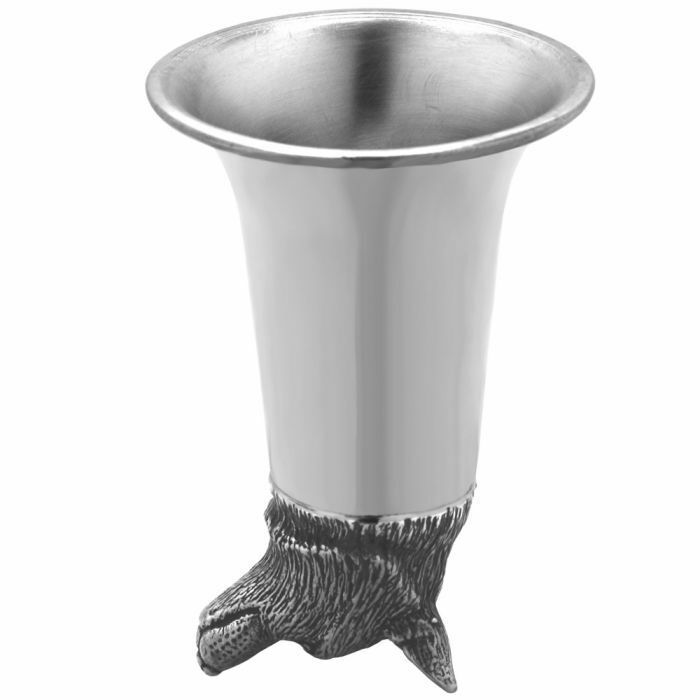 Composed of the highest quality lead free pewter neither the cup nor the base will tarnish over time. The cup is supplied beautifully packaged in a stylish cream and black English Pewter Company presentation box.